Mango Tree has always been one of my go to spots when I start craving for Thai food. They have one of the best Pad Thai in town and so when I was told that there was some new items on the menu, I made sure that I would be present to give it a try. 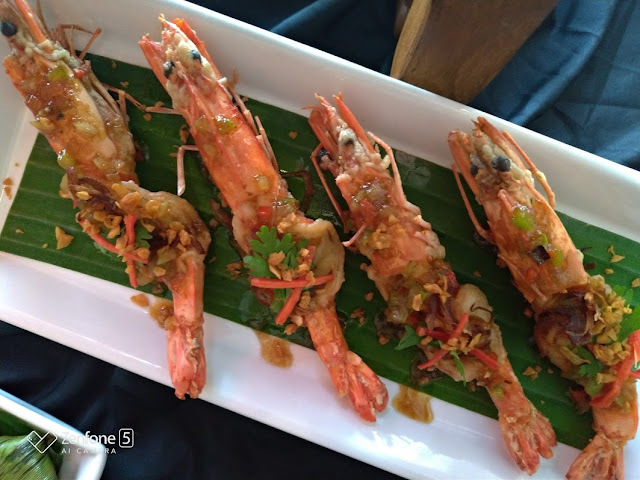 These deep fried prawns in tamarind sauce is topped with garlic, chilis, spring onions, and tamarind sauce. It felt a little dry to me though, a bit overcooked but the taste was spot on. 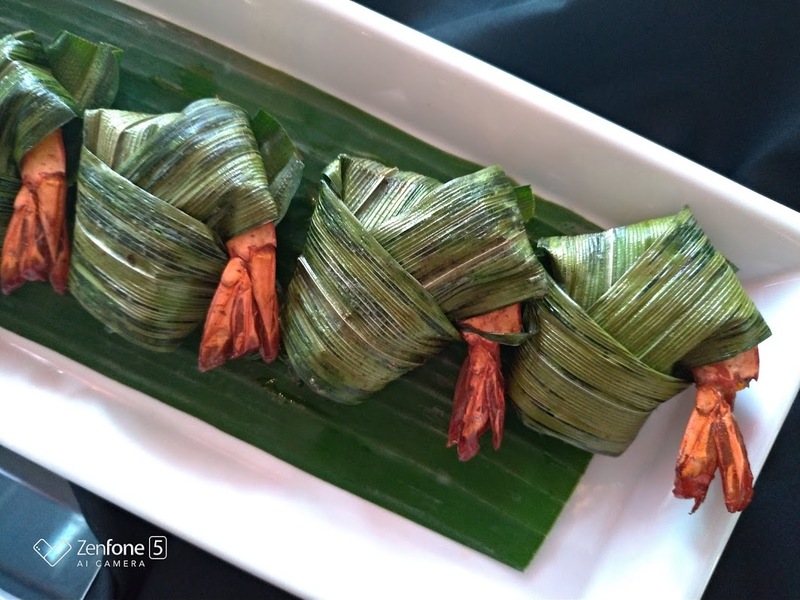 The prawns in pandan was another thing though. This one was really good. If you pair this with steamed rice and Thai Iced Tea, it is absolutely perfect. 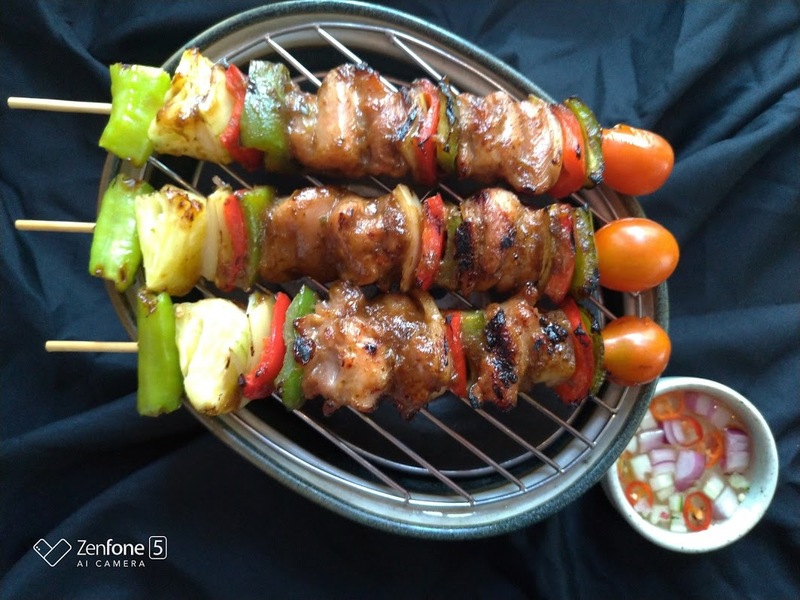 The Thai Chicken skewers is a set of grilled marinated chunk of chicken skewed with cherry tomato, bell peppers, white onions and pineapple served with sweet vinegar sauce. This reminded me of the skewers that is best served by the beach after a long day swimming. Now this one was personally served by the chef. It was actually quite a surprise because I thought that you would dip the rice crackers in the sauce but you apparently pour the savoury dip on top of the rice crackers. 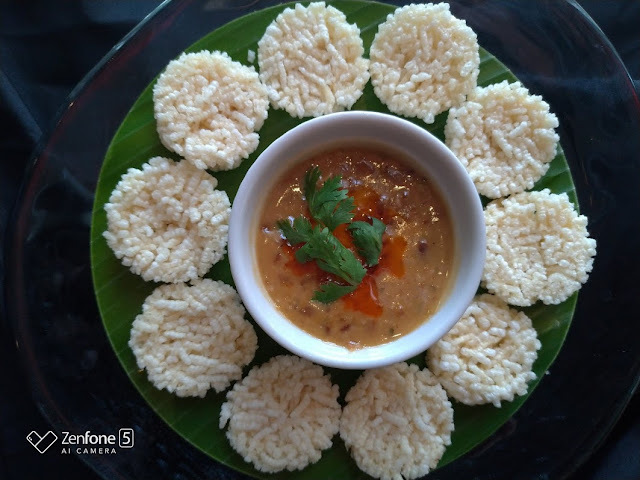 The dip is made of coconut milk, shrimp, and chicken. Yum-O! The Mussaman Lamb Shank served with onion, potato, and peanuts served in mussaman curry was my personal favorite. This one I'd most likely finish with 4 cups of rice. I know that's bad but it was really, really good. 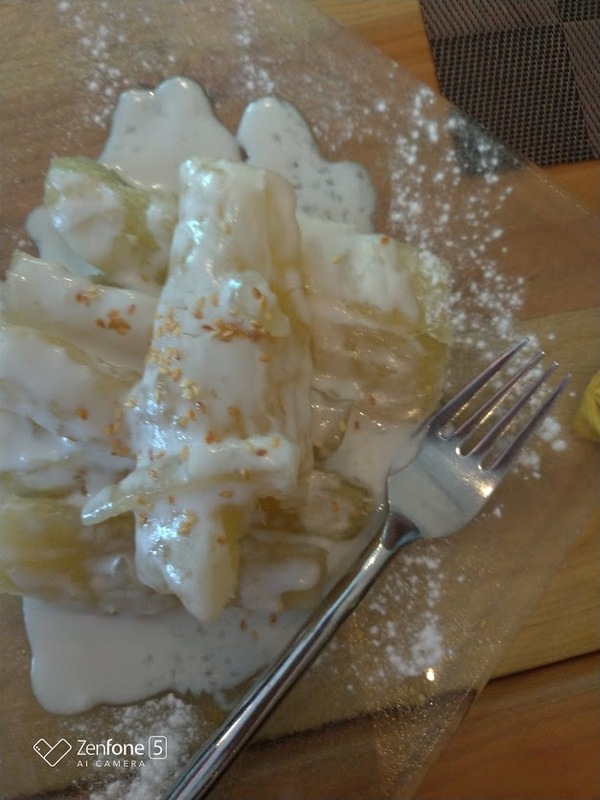 This sweet cassava is the perfect ending if you still aren't super full since this one is pretty heavy on the stomach as well. 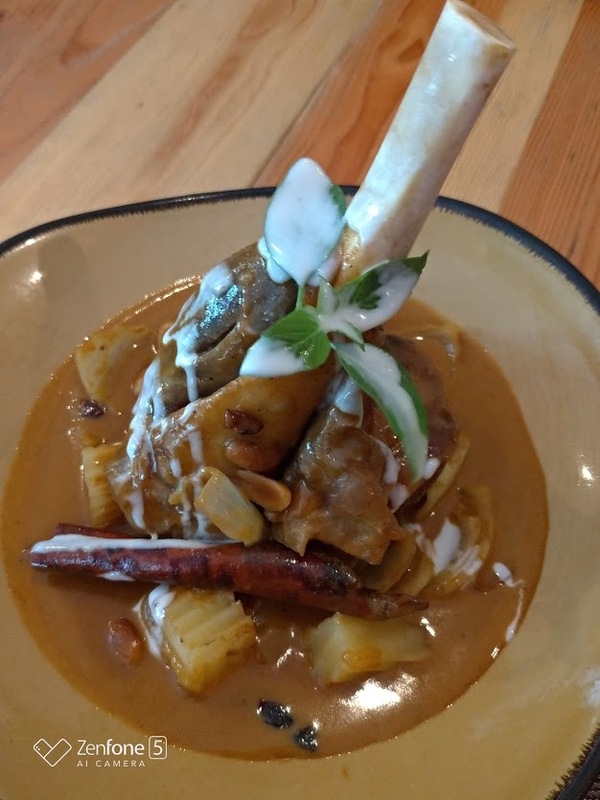 Overall, I would say that the new dishes on the menu of Mango Tree Bistro are sure winners. Heck, I'm already imagining when I'm going back again.